My father passed away on January 7, 2011 at the age of 78. There are many memories, both good and not so good, as there are with all families. 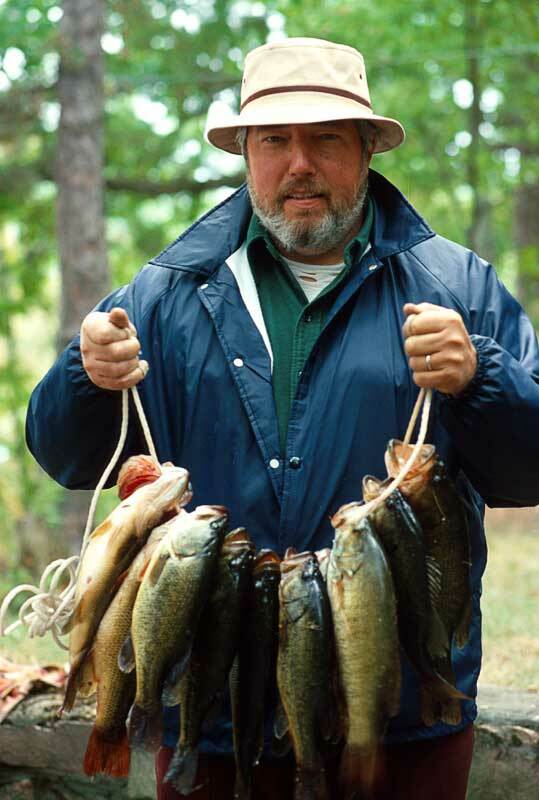 My best memories of my father usually revolved around fishing. It was our favorite pastime, but it also helped lead to my love of photography. My father was a printer by trade, but also an amateur photographer. I remember going to his print shop on the weekends where I would be paid 5 cents for every phone call I answered. I always loved going down to the darkroom. The smell of fixer… watching an image come up on either litho film or as a print. And the day always ended with a nice lunch and either watching him shoot pool at the pool hall down the street (on Main Street in Passaic, NJ) or playing pinochle at Hogan's bar across the street. In these days of political correctness and how you should raise your children this would be frowned upon, but I think it just showed me another slice of life, neither right nor wrong… just different. After we moved from Orange, NJ to the country (a.k.a. Pompton Lakes, NJ) in 1971 fishing became a big part of our lives. We lived across the street from the lake (where I am writing this from right now) where I could fish in the morning before school, after school, and later at night, without having to travel very far. Spring, Summer and Fall trips to Thousand Islands, Ontario, Canada were very exciting to a young boy, as well. Being outdoors for this activity had a profound influence on how I viewed the world around me. I loved being outdoors. Photography became a way to capture and preserve my times outside. My father also introduced me to large format photography, lending me his Air Force issued Speed Graphic while in college. This led to my quest for photographic excellence, which, in my humble opinion, is best achieved with a big negative. As I got older I needed to be more independent. This meant less time fishing, and being with my Dad, and more time for myself, and photographing. I guess this is the natural progression of things and shouldn't be analyzed too much. As a parent myself now, I can't imagine a life without my daughter, but I know the day will come, and I know how much it will hurt. But I have to let it happen. I hope that I did not hurt my father too much, but it was something I needed to do. Anyway, I just wanted to say "Thanks, Dad, for the times we had. And thanks for letting me find my own way. I love you always, and I will miss you."